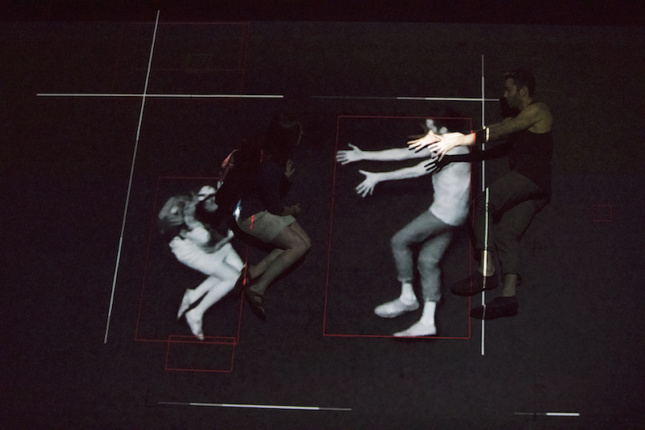 Today, New York’s Park Avenue Armory unveiled an interactive exhibition by Herzog & de Meuron and Ai Weiwei entitled, Hansel & Gretel. 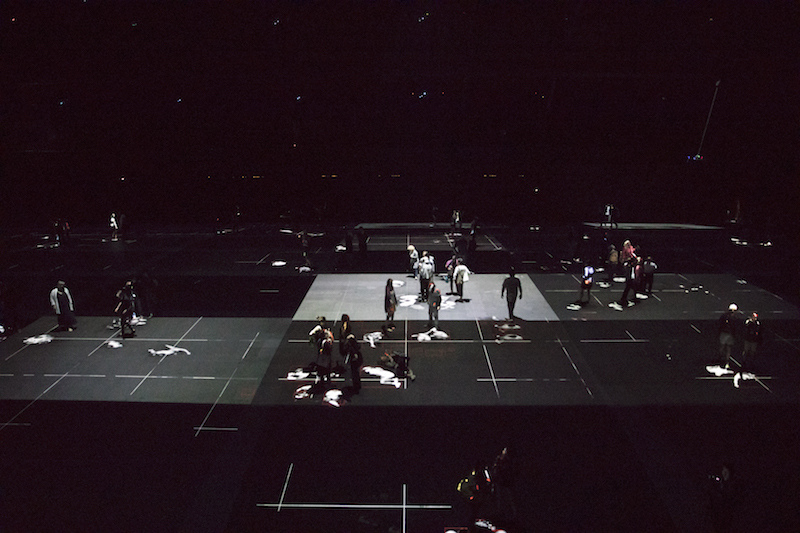 Emulating modern day surveillance, drones swirl overhead while infrared cameras document the viewers’ every move, screening the footage along the floor. Visitors in the installation are both watching and being watched, leaving digital “breadcrumbs” behind to be gathered and stored—hence the fairytale name. 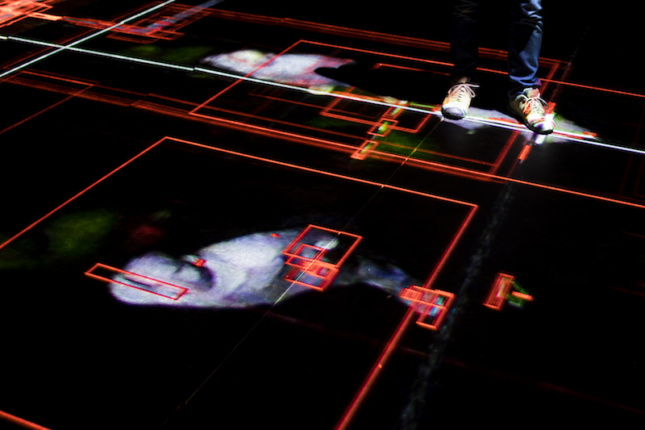 The effect is disturbing, thought provoking, and surprisingly fun as visitors posed themselves to create works of photographic art on the floor and took selfies (it is unclear if that was the designers’ original intentions). Hansel & Gretel is on view at the Park Avenue Armory through August 6.